The Nagato-class battleships were a pair of dreadnought battleships built for the Imperial Japanese Navy during World War I, although they were not completed until after the end of the war. 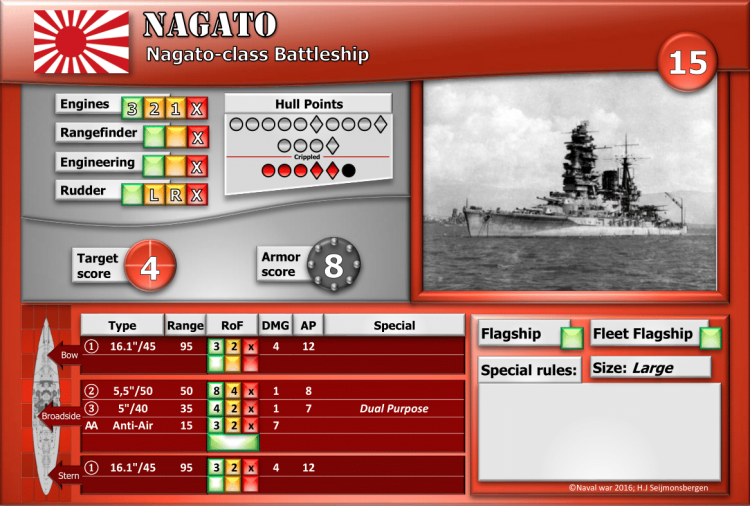 Nagato, the lead ship of the class, frequently served as a flagship. Both ships carried supplies for the survivors of the Great Kantō earthquake in 1923. They were modernized in 1933–36 with improvements to their armor and machinery and a rebuilt superstructure in the pagoda mast style. Nagato and her sister ship Mutsu briefly participated in the Second Sino-Japanese War in 1937 and Nagato was the flagship of Admiral Isoroku Yamamoto during the attack on Pearl Harbor on 7 December 1941 that began the Pacific War.